Did you know that your smile is the first thing people notice when meeting for the first time? We take care of your smile with an effective fluoride treatment—a special coating that helps prevent tooth decay. Learn more by reading below about the best dentist in Vero Beach! For starters, fluoride is a natural element that can be found in water, eggs, and fish. In fact, this substance is essential in preventing tooth decay and strengthens your tooth enamel. It’s no wonder that toothpaste has fluoride in it! 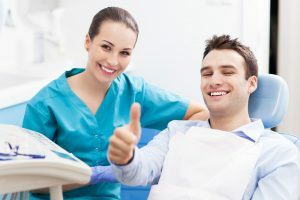 Therefore, fluoride treatments consist of actual fluoride coating to safeguard your teeth from pre-existing and future cavities. Furthermore, our hygienists apply the fluoride solution to each tooth using a toothbrush. Afterward, you will not be able to eat, drink, or rinse your mouth for at least half an hour. This is to ensure that your teeth are getting the maximum fluoride effect. Most important, is that we recommend getting fluoride treatments every 6-months! Contact Your Best Dentist in Vero Beach! Lastly, your smile is the most important asset you could own. Our specialists are trained to give you the finest fluoride treatment for you. Not only does this treatment improve the appearance of your smile, but also your overall oral health. Contact us today to learn more!